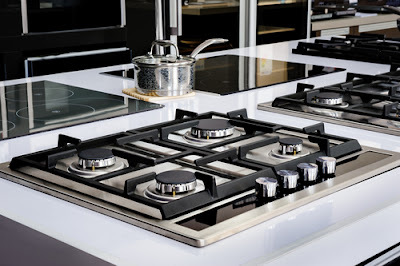 Maid Agency Singapore: How To Remove Burn Stains From Kitchen Stove Top? How To Remove Burn Stains From Kitchen Stove Top? Various types of stoves including stoves with ceramic top or glass top or electric stoves etc. are used in almost every kitchen in Singapore and all over the world to cook food. They usually have stains on their top and around the burners most of the times due to food bubbling out of the pans or pots or spills, no matter how carefully you use them. Most of these stains can be removed easily by wiping with a damp cloth or some mild cleaner but sometimes it becomes difficult to remove burn stains from the stove top. Brief information about the removal of different types of burn stains from different types of stove tops is provided here under to help you in keeping your kitchen clean in Singapore. Burn stains from stove with porcelain top as well as from other types of stove tops can be removed through various methods in Singapore. But while using any of these methods you should be careful as they can damage your stovetop if not used correctly. Some of these methods that you can use in your kitchen to remove the stains of burnt food are given here under for your guidance. 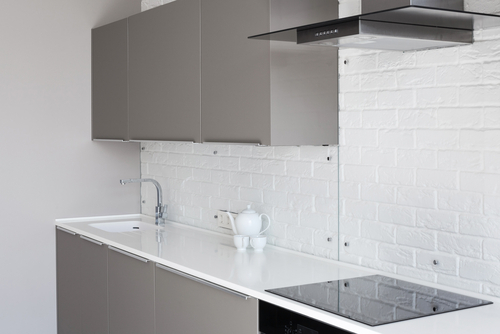 Use of specialized cleaners: Certain specially designed cleaners are available in the market that can be used on porcelain and similar other stove tops to clean burn stains of any kind. But while purchasing them you should ensure that they match to the type of your stovetop. Razor blade: You can also use a piece of straight razor blade to scrape the residues of burnt food on any type of your stovetop. But while using the blade you should not hold at steep angle and use gentle pressure otherwise it can damage the smoothness of your stovetop due to scratches. You can avoid scratches by holding the blade like you are shaving the stovetop. Use dryer sheets: You can put a piece of moistened dryer sheet on the burn stains on your stovetop for some time say 2-3 hours to dampen the burnt food. After that you can remove the stain just by wiping the space gently. But this method is good for not so severe burn marks. Use vinegar-based window cleaner: The base of window cleaner containing vinegar is made safe and functional for any kind of surface. It can help you in removing any kind of stain from your kitchen stovetop just by applying it gently as you use on your windows. Baking soda: It is one of the traditional methods used for removing any types of stains including burn stains from various types of stovetops. You can remove these stains just by spreading the paste of baking soda in warm water on and around the burnt food and let it stay there for few minutes. Now wipe it with a paper towel. You may need to repeat the process several times to remove the stain completely. The stoves with glass top should be cleaned carefully to remove burn stains as it smoothness can be damaged easily if not cleaned properly. Moreover these stains are to be removed for glass tops as soon as possible otherwise it can adhere to its surface permanently. Though people use various methods to remove theses stains but most popularly used method is described here under for your consideration. All you need for this method include a small dish, a plastic spoon, some lemon juice, baking soda, olive oil, plastic scrubber or soft cloth, mild soap, a razor blade, cleaning agent and water. The stain can be removed in just few simple steps given below. After that you can clean the burn stains from the glass stovetop according to their nature. If the stain is thick then you can scrape it with a dull knife or a spoon. But if the stain is tough then you can use razor blade to scrape most of it after coating the stain with olive oil to lubricate and loosen it. While scraping the stain, the razor blade should be pushed flat carefully against it so that the stovetop may not get scratched. After removing even the edges of the burn stain you should make toothpaste like thick paste of baking soda in warm water in a small dish. Now spread this paste on the burnt area of the stovetop and let it stay there for about 10 minutes or until it dries. You can also pour lemon juice on this paste to remove even the tougher marks of the stains easily and effectively. Now use the plastic scrubber or soft cloth to scrub the area gently. The use of abrasive scrubber can damage the surface of glass stovetop. After removing the stains you should use mild soap and warm water to clean the surface and enhance the beauty of your kitchen. The electric stoves with glass top are becoming popular these days to give elegant look to the kitchen. The smooth surface of these stovetops keeps its electric coil concealed to enhance the sleek looks of the electric stove. But keeping its surface clean from burn stains can be challenging as the burnt food can stick to it very quickly. These stains can be removed in few careful steps to maintain the sanctity of the glass of the stovetop. You should first of allow the stove top cool down completely. Now remove the larger food particles from the glass stovetop by using water dampened paper towel. Now take a glass stovetop cleaner available in the market and squeeze few drops on the burn stains portion and let it stay for about one minute. Now scrape it gently with a razor blade or spoon by lubricating it with few drops of cleaner. Now wipe the surface with damp cloth or sponge and let it dry before next use. 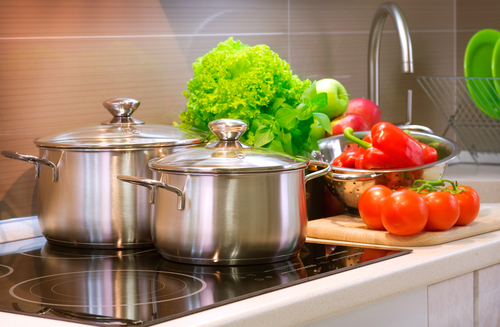 Thus you can easily remove burn stains in Singapore from your kitchen stovetop of any kind by following the tips given in this write-up.